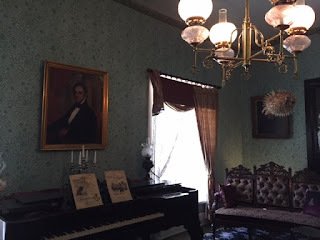 As a writer who has been living in Mexico for nearly three decades and, for an ongoing hairy spell, working on a book about Far West Texas, I am tardy in the extreme in reading Susan Shelby Magoffin's diary of 1846-47. Only recently did I pick it up in a bookstore on a visit to Santa Fe, New Mexico. I promptly devoured it and am still shaking my head that I had not happened upon this marvel of a chronicle before. 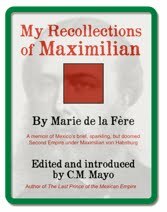 Indeed, the diary stands an essential document in US and Mexican economic history. Susanita, was her husband's colleague Josiah Gregg's Commerce of the Prairies, published in two volumes in 1844-- only two years before Susanita began her diary. >>Rare book collectors alert: A first edition of Gregg's Commerce of the Prairies, both volumes and in good condition, is offered by James Cummins Bookseller for USD 4,500. Now worries, dear reader, it is now in the public domain and you can read it for free on archive.org. The enticement: furs, and mules, and Mexican silver. From Independence, Missouri, the well-armed caravans of wagons packed with cloth and clothing, books, and other manufactured goods rumbled across the oceanic prairies of not-yet-bleeding Kansas and the southeastern corner of Colorado to the old Spanish city of Santa Fe-- then in its sunset days as part of the Mexican Republic. 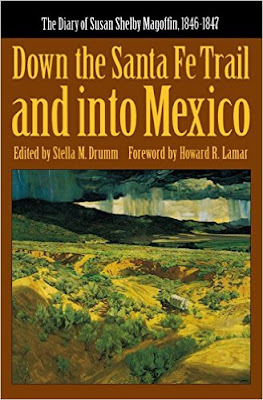 From Santa Fe, some traders then turned south on the old Spanish Camino Real de Tierra Adentro to Albuquerque, El Paso del Norte, Ciudad Chihuahua, and yonder into deepest Mexico. 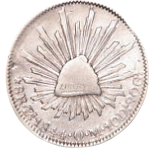 According to historian Lamar, the trade began in 1822, when Mexico, having separated from Spain, abandoned its mercantilist trade prohibitions. One Captain William Becknell ventured down from the Plains and reported "fantastic success bartering with the New Mexican at Santa Fe." By 1825 James Wiley Magoffin had entered the trade, bringing along his younger brothers, including Samuel, the husband of Susanita. 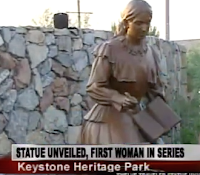 Susanita Magoffin believed that she was the first white woman to traverse the Santa Fe Trial-- although that distinction may belong to Mary Donoho, who traversed the trail in 1835. [See the article by Kelley Pounds.] 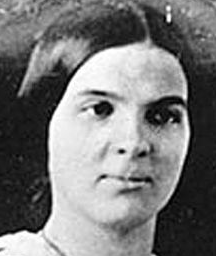 Remarkably for a diary of such careful observation, its author was a teenager: she celebrated her 19th birthday on the trail at Bent's Fort. Even more remarkably, her journey coincided with the US-Mexican War. More about that war in a moment. 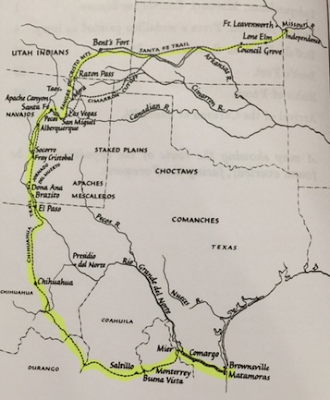 >> Read more about the trail at the website of the Santa Fe Trail Association. from Santa Fe down to Mexico City. 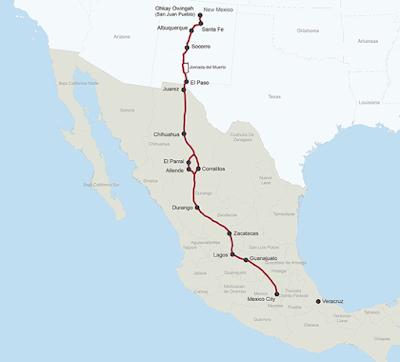 Susan Shelby Magoffin's journey with her husband's caravan was not to Mexico City but Ciudad Chihuahua, and from there, a jog southeast via Saltillo and Monterrey to board a steamer bound for the Gulf of Mexico, thence home via New Orleans. In other words, the Magoffins' semi-circle of a route took them to cities in the north of Mexico while circumventing the then vast no-go zone known as the Despoblado (Empty Quarter) or Apachería and Comanchería. Even on the Santa Fe Trail itself travelers could anticipate an Indian attack at any time. Nearing what is now the US-Mexico border at the Pass, Susanita and her husband encountered James White, with whom he did some business. Two years hence, White would be murdered, his wife and child captured, the former mortally wounded and the latter never to be found (presumably also murdered). Near the Rio Grande, the attack on her brother-in-law no doubt vivid in her mind, their caravan passed the graves, marked by crosses, of fourteen Mexicans massacred a few years earlier by Apaches. Apart from the clatter and clop of the caravan itself, the quiet of the sparsely populated the plains, the mountains, and the open desert must have been eerie. 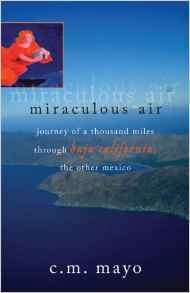 Susanita's diary records entire days without seeing any other travelers or, perhaps, a single person. "They are very ugly, ill-shapen things with their long shaggy hair over their heads, and the great hump on their backs, and they look so droll running." Her dog, Ring, chased after them, to her delight. Built in the 1830s for trade with Comanches, Southern Cheyenne and Arapaho for buffalo robes, Bent's Fort was known as the "Castle on the Plains." It was days upon days upon days of dangerous travel distant from any other permanent settlement. Susanita had been on the road for 45 days and nights-- and this only about a quarter of the entire journey-- before reaching Bent's Fort in July of 1846. She found it milling with U.S. soldiers, preparing for the invasion of Mexico. "Well, the outside exactly fills my idea of an ancient castle. It is built of adobes, unburnt brick, and Mexican style so far. The walls are very high and very thick with rounding corners. There is but one entrance, this is to the East rather. "Inside is a large space some ninety or an hundred feet square, all around this and next the wall are rooms, some twenty-five in number. They have dirt floors-- which are sprinkled with water several times during the day to prevent dust. Standing in the center of some of them is a large wooden post as a firmer prop to the ceiling which is made of logs. Some of these rooms are occupied by boarders as bed chambers. One is a dining room-- another a kitchen-- a little store, a blacksmith's shop, a barber's do an [sic] ice house, which receives perhaps more customers than any other. "On the South side is an inclosure for stock in dangerous times and often at night... They have a well inside, and fine water it is-- especially with ice." [Bent's Old Fort on the Santa Fe Trail. >>Bent's Old Fort National Historic Site, is about 3 hours' drive southeast from Denver International Airport near Lamar, Colorado. The adobe fort is a meticulous reconstruction. >> Bent's New Fort on the Santa Fe Trail. >> See also directions to the ruins of the new fort, which is 10 miles west of the town of Lamar, Colorado. In occupied Santa Fe Susanita notes meeting Col. Doniphan (whom she calls "Donathan"). 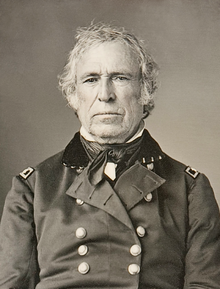 "The general was dressed in his famed old gray sack coat, striped cotton trowsers [sic] blue calico neck-kerchief. With all of this I am most agreeably disappointed in him. Most of the wild stories I've heard of him I now believe false and instead of the uncouth back-woodsman I expected to have seen I find him polite, affable and altogether agreeable." One might compare Susanita Magoffin's diary to the letters of Fanny (Frances Erskine Inglis) Calderón de la Barca, which were published in 1843 as Life in Mexico: Both Magoffin and Calderón de la Barca were educated American women writing about Mexico in roughly the same decade (the latter arriving via Veracruz in 1839), and both had the rare gifts of natural curiosity and the ability to write generously, vividly and perceptively. But Magoffin and Calderón de la Barca served up experiences as different from one another as say, a tamale for a picnic and a soufflé for a palace banquet. 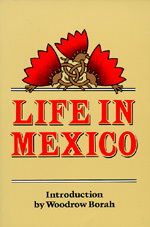 The author of Life in Mexico was in her mid-thirties and wife of the first Spanish ambassador to Mexico-- a uniquely privileged position from which to observe the highest levels of Mexican society and political intrigue, as she so shrewdly and wryly did. >> See my review of Calderón de la Barca's Life in Mexico for Tin House. Susan Shelby Magoffin, on the other hand, was fresh off her family's estate in Kentucky and on the Santa Fe Trail as the 18 year old bride of a prosperous veteran Irish-American trader--Samuel Magoffin. A rustic adventure hers may have been; nonetheless, Susanita was a granddaughter of Kentucky's first governor and she traveled with her own carriage, driver, personal maid, and other servants. "'Twas made in Philadelphia by a regular tent-maker of the army... It is conical shape, with an iron pole and wooden ball; we have a table in it that is fastened to the pole, and a little stand above it that serves as a dressing bureau-- it holds out glass, combs &c. Our bed is as good as many houses have; sheets, blankets, counterpanes, pillows &c. We have a carpet made of sail duck, have portable stools they are called; they are two legs crossed with a pin through the center on which they turn as a pivot, the seat part is made of carpeting. To be brief the whole is a complete affair." Of Santa Fe Susanita records the tree-lined plazo [sic], delicious durasnos [sic] or peaches, fresh air, and grapes "though quite small are remarkably sweet and well flavored." At a Spanish ball given by the US Army officers for the traders, she gamely attends, though nonplussed by the custom of women smoking cigars. "We left here at fifteen minutes to 2 o'clock P.M. passed through the plazo [sic], of course attracting the attention of all idle bystanders-- my bonnet being an equal object of wonder with the white woman that wore it." "...how these people annoy me. This whole afternoon I have been sitting here, an object of curiosity to them-- querido mio [my darling] was reading to me when they commenced flocking about the tent and we thought for him to continue they would soon leave, but it only attracted them more, and in a few minutes they were peeping under the sides of the tent, which has been raised to let in air--as thick as some flocks of sheep and goats I see. They whispered among themselves, picked at my dress-- a great curiosity-- fingered the bed clothes, the stools, in short everything "en la casa bonita" [in the pretty house] as they call this. Here they staid and apparently with the intention of remaining till the dark curtain of night should hide me from their view, till mi alma [her husband] got up and ordered the tent to be staked down, nd they went off to think and talk for the next muchos años [many years]." "It is disagreeable to hear so much swearing; the animals are unruly tis true and worries the patience of their drivers, but I scarcely think they need be so profane." "...it is repulsive to see children running about perfectly naked, or if they have on a chimese [sic] it is in such ribbands [sic] it had better be off at once. I am constrained to keep my veil drawn closely over my face all the time to protect my blushes." "What an everlasting noise these soldiers keep up-- from early dawn till late at night they are blowing their trumpets, whooping like Indians, or making some unheard of sounds, quite shocking to my delicate nerves." "At this place I made a comadre of an old woman witch, who brought eggs and bread down to the encampment to sell; she stopped at our tent door, she looked up at me, and said, 'take me with you to your country,' 'why,' said I. 'le guerro V. los Americans' [You are at war with the Americans]? She neither answered yes or no, but gave me a sharp pinch on my cheek, I suppose to see if the flesh and colour of it were natural-- and said 'na guerro este' [there is no war]. The pinch did not feel very comfortable, but I could but laugh at her cunning reply." 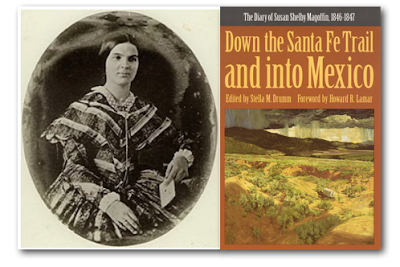 As far as we know, Susanita did not write with the intention to publish; she kept her diary on the Santa Fe Trail as she kept the diary of her honeymoon in New York and Philadelphia-- for herself, perhaps for her children. Her diary ends abruptly in 1847, just before she was struck by yellow fever at Matamoros and lost her baby. Home in Missouri, she gave birth to two more children and then, for reasons unspecified, she died in 1855. She would have been 28 years old. edition with the forward by Howard Lamar, is the 1982 University of Nebraska Press reprint of Yale University's 1962 edition. >> See also the brief biography of Susan Shelby Magoffin on NewMexicoHistory.org. 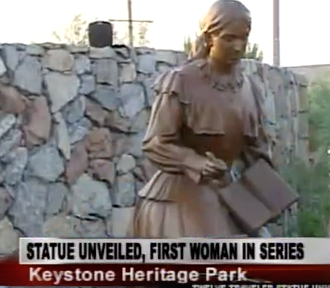 >> See also brief news video from 2012 of the unveiling of the Susan Shelby Magoffin statue in El Paso's Keystone Heritage Park. Writes historian Howard Lamar in the foreword to the diary (p. xxi): "Like the Phoenician traders of old, the Santa Fe traders had broken the cake of custom, caused two distinct peoples and cultures to blunder into contact, and had prepared the way for political as well as economic conquest." 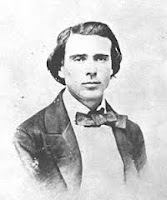 Apart from Josiah Gregg, famous for his book Commerce of the Prairies, the best-known Santa Fe traders were James Wiley Magoffin and his younger brothers-- among them Samuel, Susanita's husband. James, known as "Don Santiago," opened stores in Chihuahua and Saltillo, and made advantageous marriage to Doña María Getrudes Valdez de Beremende, daughter of a leading family in Chihuahua and a cousin of Manuel Armijo, a wealthy trader who would become New Mexico's governor. Back in Susanita's day, the city we know as El Paso did not yet exist. The "El Paso del Norte" she passed through is now the neighboring Mexican city now known as Ciudad Juárez (renamed in honor of President Benito Juárez, who led the victory of the Republic over the French Imperial Army and its puppet monarchist regime under Maximilian von Habsburg). 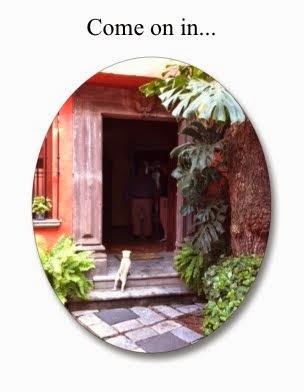 For my recent Literary Travel Writing workshop at the Writer's Center, I offered several quotes from Susanita's diary for the handouts on "The Alchemy of Specificity." 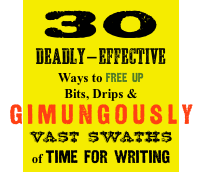 >>For more about specificity in fiction and literary travel writing see "The Number One Technique from the Supersonic Overview." "Many a one of these long hills do I walk up and down, beside rambling thought the bushes, along the banks of the little streams & c. in search of 'what I can find.' Some times this is a curious little pebble, a shell, a new flower, or the quill of a strange bird." "The center of it is covered with a curtain and on sight contrasts strangely with the rich trimming of the altar, it was raised (by our attendant-- a little boy) in a moment by means of a pully, and opened to our view an image of Christ crucified as large as life, made of a highly polished wood, and inclosed [sic] in a large glass case gilted and decked with flowers, it looks so like a human figure I shuddered as I looked upon it: his accusation* is written above on a plate of solid gold, some ten or twelve inches by six. When we had looked at it for some time, the little boy lowered the curtain with deep respect-- shutting the sacred image from our view." *"INRI," the acronym for Iesus Nazarenus Rex Iudaeorum or "Jesus of Nazareth, King of the Jews." P.S. In case you were wondering, dear reader, ayyy.... yes, I am still working on the Marfa Mondays Podcast #21. 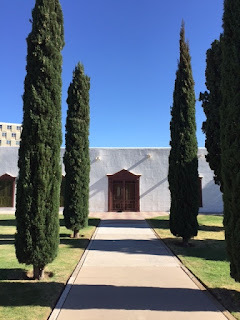 And in case you don't already know what that's all about, these podcasts, exploring Marfa, Texas and environs, are apropos of my book in-progress on the Trans-Pecos or Far West Texas. Twenty of a projected 24 podcasts have been posted to date. I invite you to listen in to the podcasts anytime >> here. 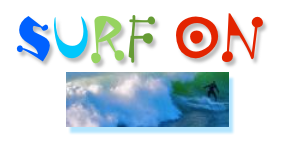 Mexicophiles, check out the updated page. This past week for Shattered Reality! 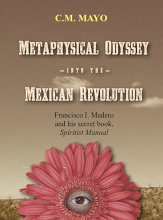 podcast Kate Valentine and Fahrusha interviewed me about my latest book, Metaphysical Odyssey into the Mexican Revolution: Francisco I. Madero and His Secret Book, Spiritist Manual. Considered Mexico's "Apostle of Democracy," Francisco I. Madero was the leader of the 1910 Revolution and President of Mexico from 1911-1913. In the year he launched the Revolution he wrote Manual espírita, then published it in 1911 as "Bhima," a pen name taken from the Bhagavad-Gita, when he was president-elect. What's it all about? I'm always delighted to talk about Metaphysical Odyssey into the Mexican Revolution-- which includes my translation of Madero's Manual espírita as Spiritist Manual-- and I have been fortunate to do so many a time since it came out in early 2014. 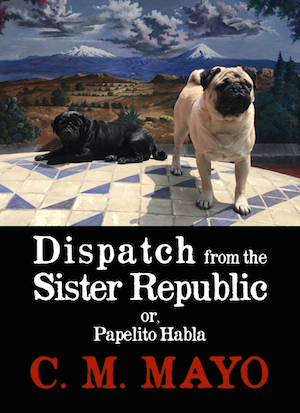 For those looking for a more scholarly discussion, on the book's webpage you can find my lectures about Madero, Spiritism, and the Mexican Revolution for the UCSD Center for US-Mexican Studies (podcast); University of Texas El Paso (transcript); and The American Literary Translators Association Conference (transcript), among others, plus an ample and frequently updated page of Resources for Researchers. In scholarly venues, with noted exceptions, I usually find myself before an audience flummoxed to horror by the idea of Mexico's revolutionary hero as a Spiritist medium, so it was a fun treat to have this freewheeling podcast conversation with Kate Valentine, an expert on UFOs, and Fahrusha, a well-known professional psychic. They were not in the least kerfuffled by, for example, discussions of channeling the dead, table tipping, and apparitions-- to mention only a few of Francisco I. Madero's esoteric enthusiasms. 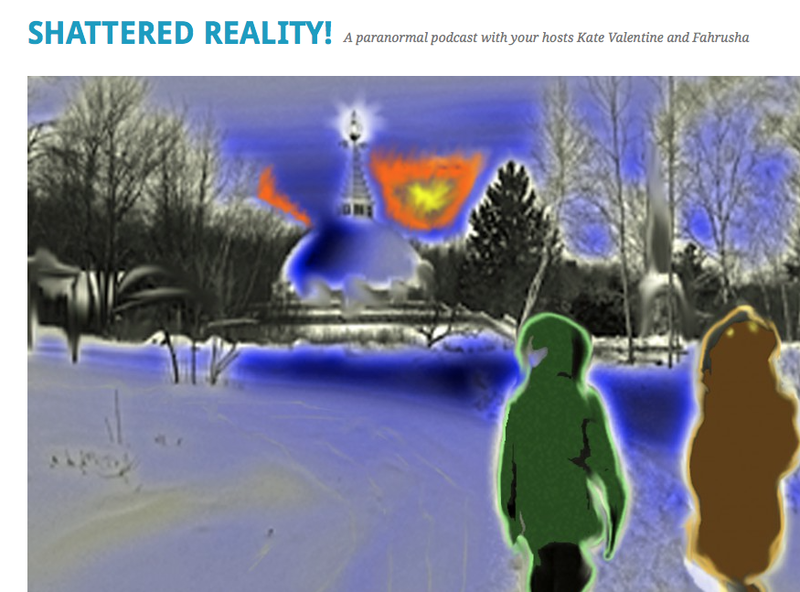 Whether you relish discussions of the paranormal or not, if you have an interest in Mexico per se, I warmly recommend the Shattered Reality! 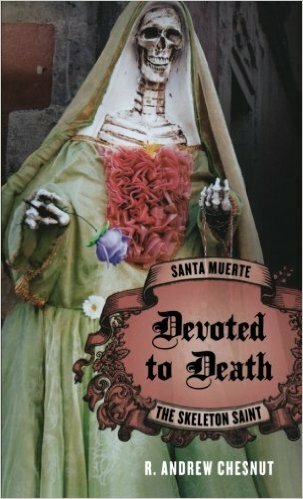 interview with Andrew Chestnut, professor of Religious Studies at Virginia Commonwealth University, about his book Devoted to Death: Santa Muerte the Skeleton Saint. Of late there has been a raft of sensationalist reporting on this visually spectacular cult which originated in Mexico City and is now popular among narco-traffickers, prisoners, and black magic practitioners, among others. Chestnut provides a well-grounded history of Santa Muerte (he identifies Aztec influences, as well as Spanish representations of the Grim Reaper, imported with the Conquest in the 16th century), and some very crunchy sociological insights. 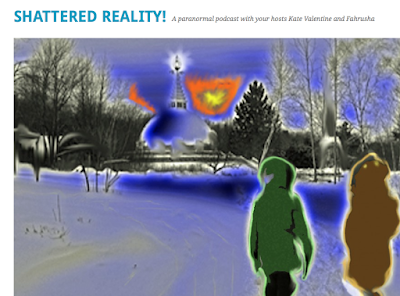 >> Again, listen to my Shattered Reality podcast interview here. > All Q & A here. I invite you to subscribe to my free podcast-packed newsletter. Newsletter goes out every other month-ish.